Welcome back to the third edition of Railtour Rundown. It’s an interesting week for Railtours so let's get started. There are no Railtours until Thursday 11th April. On Thursday there is planned to be a Steam Dreams Railtour London Liverpool Street to Bressingham Steam & Gardens & Dereham - Mid Norfolk Railway. This Railtour is planned to be hauled by LNER B1 No.61306 ‘Mayflower’. Whilst this locomotive is rostered for the trips listed, it cannot be guaranteed. The second tour on the 13th April is the Railway Touring Company’s ‘The Pennine Blackpool Express’. This tour will depart London Euston at 7.10am and head for Blackpool for 11.08am while stopping off at a few stops. The locomotive to haul this tour is TBA. The third tour is UK Railtours ‘Border Raider’. 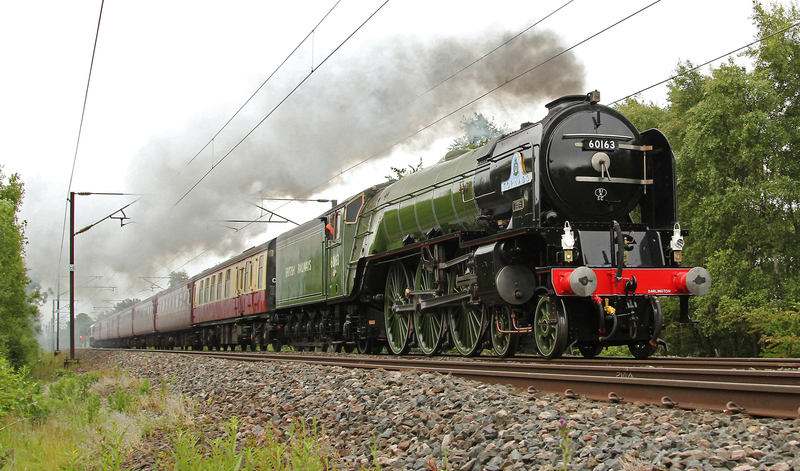 This tour is being hauled by LNER A1 60163 ‘Tornado’. The tour is being promoted by the A1 Steam Trust but UK Railtours are acting as ticket agents. All the profits of this tour will go to the A1 Steam Trust. This tour will depart Birmingham New Street at 7.48am and head for the Settle & Carlisle Railway. The tour will return to Birmingham New Street at 22.27. The fourth and final tour on the 13th is Riley & Son’s ‘The Citadel Steam Special’. This Railtour will be double headed by two from the pool of three. The possible engines hauling this trip are LMS Black 5's, 45407 'The Lancashire Fusilier', 45212 or 44871. This tour will be from Manchester at aprox 7.30am heading to Bolton & Blackburn (To pick up passengers) before heading to Hellifield on the Settle & Carlisle Railway.